Capecodonline.com – The latest plan to reform Cape Cod’s regional government is now officially on the table. During its meeting inside the Barnstable District Courthouse on Wednesday, the county’s charter review committee nailed down several key details in a set of proposals that include a new legislative board elected from 11 districts across the Cape and a single executive elected Capewide. “A mayor of Cape Cod,” said committee member and Barnstable County Commissioner William Doherty. God bless whoever becomes mayor of Cape Cod. Talk about a lightning rod for blame. All we do is write jokes and people email us everyday blaming us for everything from Piping Plover murder to people’s drug problems. I can’t even imagine the microscope a Cape Cod mayor would live under. Not to mention the fact that most likely the mayor would end up being some crusty old dude that hates live music and train whistles. 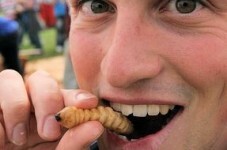 He’d probably cancel the 4th of July fireworks and rope off the beaches so hermit crabs could mate in peace. Crusty Cape Cod mayor would deputize the fun police with badges and establish them as an actual law enforcement agency that could roam the peninsula arresting anyone with a smile on their face. All of us normal people would retreat to our homes to have fun and complain about the powers that be. Then in the next election another douche would win because the stiffs would outvote us. We’d all be better off if everyone would just mind their own business and focus on themselves. The problem is that people on The Cape just don’t have anything to do except worry about what everyone else is doing. So good luck future mayor of Cape Cod, you’re gonna need it. 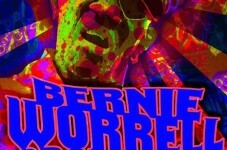 The Bernie Worrell Orchestra At The Improper Bostonian Is Tonight! VIDEO: Let's Play; "How Old Was The Driver That Drove Into This Building"